Where do you sleep in the city that never sleeps? 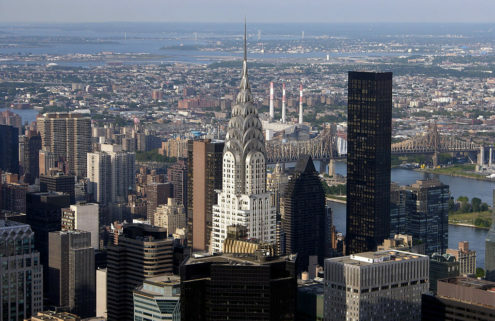 New York’s different neighbourhoods each have their own flavour of architecture, whether it’s loft spaces in Chelsea, the brownstones of the Upper West Side or converted stables in Brooklyn. We’ve sifted through millions of listings to find you six of the finest New York apartments to rent. Architect Jonathan Schloss and interior designer Anouska Hempel joined forces on this sumptuous New York apartment, which belongs to the owners of a boutique hotel chain in Singapore. 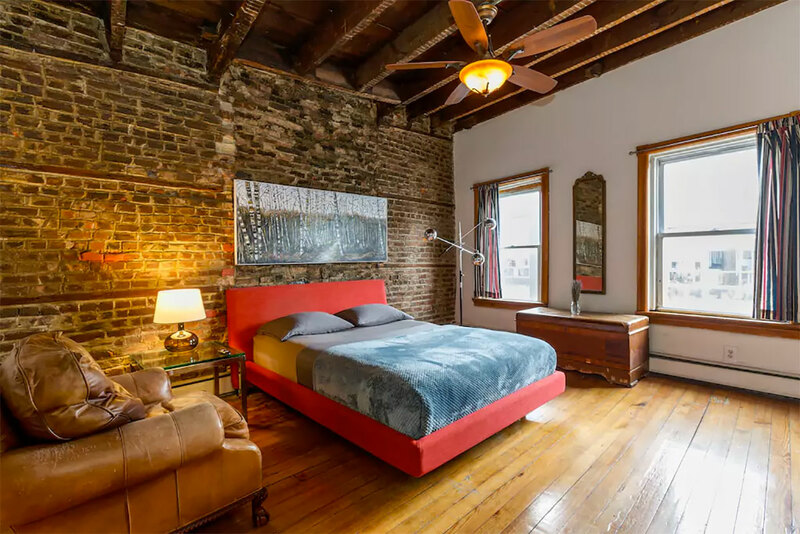 Schloss has gut-renovated the sprawling space and added a modern glass-encased master suite atop the landmarked Italianate building. Hempel has added mirrored surfaces, blackened walls and velvet furniture. See more of the home. 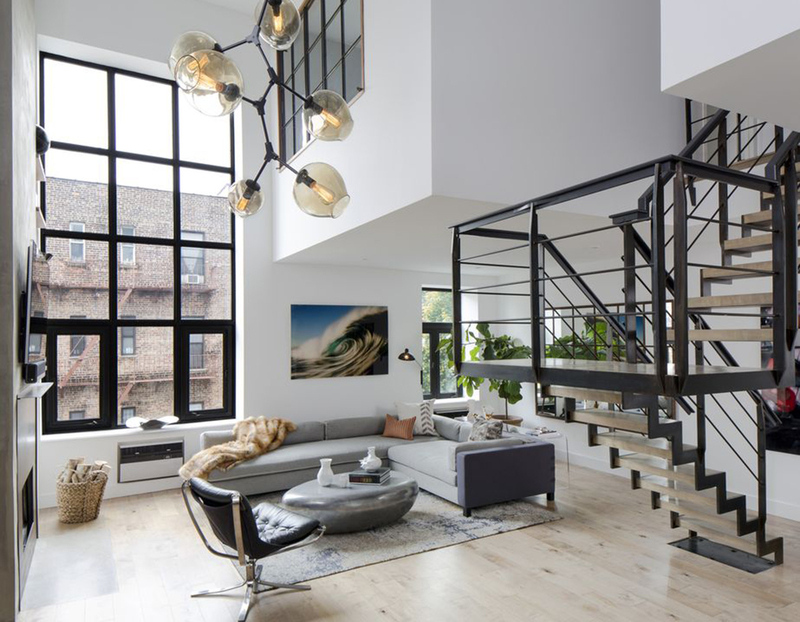 A light sculpture by Lindsey Adelman descends from the 20ft-high ceiling of this Soho loft, which has been recently renovated. The one-bedroom, 1,200 sq ft apartment is kitted out with maple wood flooring, B&B Italia furniture and fixtures by Lefroy Brooks. A mezzanine level study also doubles as a further single bedroom. 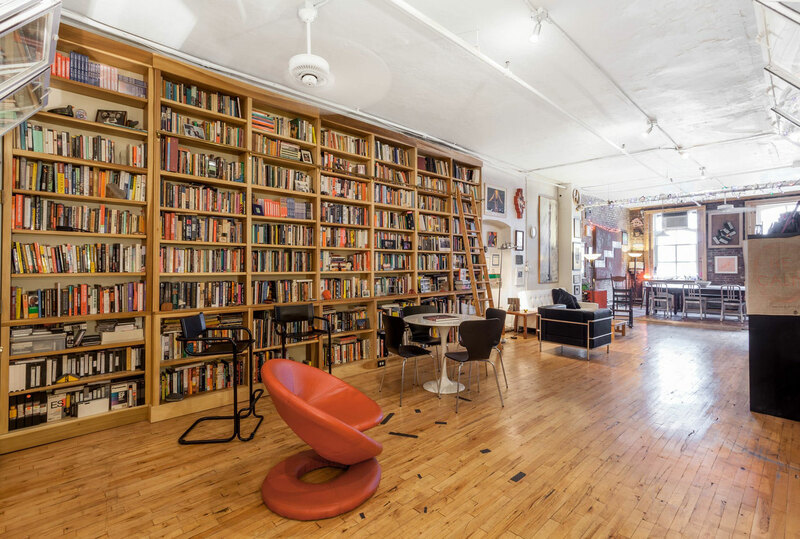 Bibliophiles can get their fix in this New York apartment, which is designed around its vast living room library. Towering walls of books run along one side, accessible by a ladder. White painted brick walls and warm wooden floors complete the look inside the Soho space. 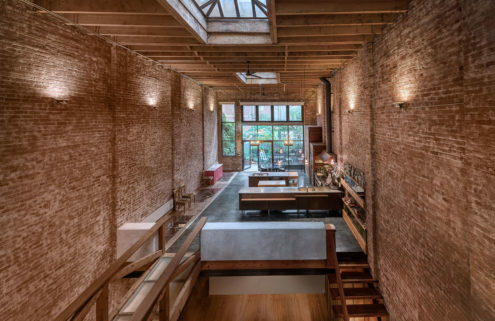 This former carriage house and stable in Brooklyn is a lesson in adaptive reuse. 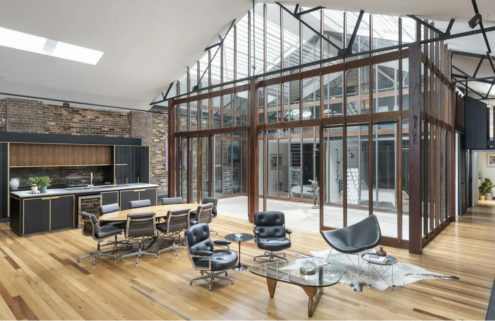 The 2,400 sq ft home has been completely restored with hand-hewn bricks while original details such as beamed ceilings and wooden window panes are complemented by modern lighting fixtures and a pared-back colour palette. This New York apartment has Brooklyn’s waterfront on its doorstep. 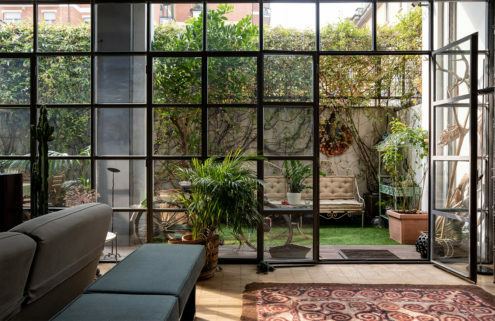 It sits on the top floor of a restored 1894 townhouse, whose rough hewn beams have been left exposed. 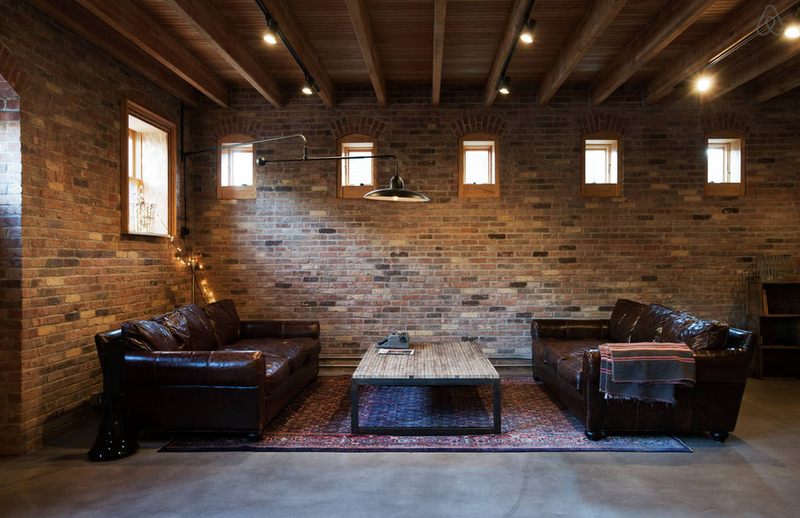 A brick fireplace takes centre stage in the living room of the rustic dwelling. 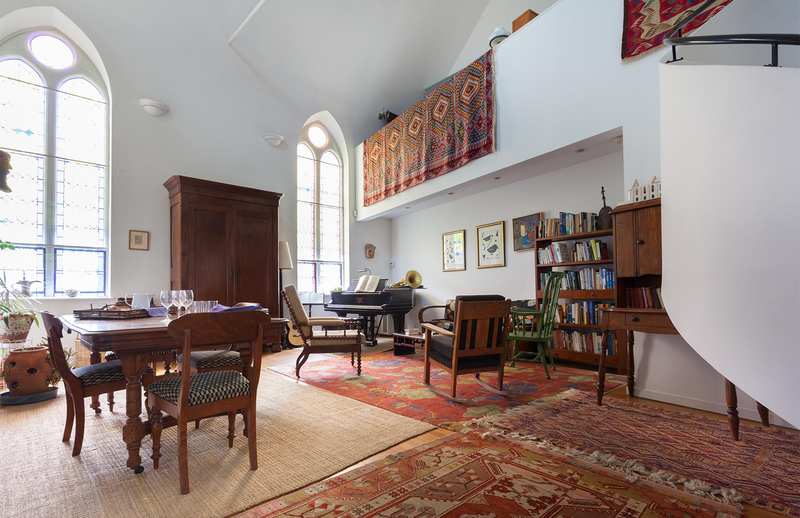 A church conversion, this Brooklyn bolthole is a blend of secular and sacred design. Its cathedral windows and stained glass windows remain – fused with contemporary touches such as the bedrooms’ bright colour scheme and the kitchen’s cobalt subway tiling.